I encountered a fascinating bug (or feature) in the lightning:input[type=number] component and I was wondering if any of you have had this problem before? I'll describe what happens: My lightning component does a server side call and assigns the return value to an attribute in the component. The LC has a few components with their values bound to properties in this attribute. Those properties are numbers (ex 7.95)! The lightning component shows these numbers without issues. This screenshot shows a part of that attribute printed to the console. The value property is bound to the value attribute in the lightning:input on the right. Now comes the strange part. If I edit one of these numbers and output my attribute to the console, the type of the property that contains the number changes from a number to a string. The numbers I did not change, still have the number type. 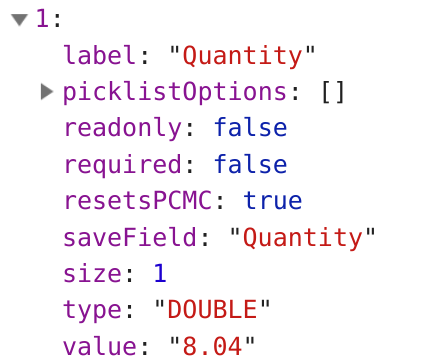 I made a (dirty) fix that parses all my number fields with the parseFloat(value) function before sending it off to the server and that seems to solve the problem but this seems like an obvious Lightning bug. In my opinion, the lightning:input[type=number] may NEVER return a string. Is this a known Salesforce Issue or am I doing something wrong? 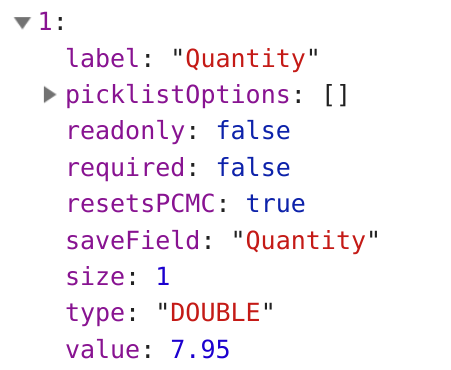 It does a component.get to get all the QuoteProducts, loops over them, and for every QuoteLineItem in that QuoteProduct collects the values that are in the fields. Browse other questions tagged lightning-aura-components lightning lightninginput lightning-inputfield or ask your own question. lightning:input doesn't always bind to attribute references? Binding lightning:inputField to a client-side SObject instance not an SObject Id?